It was the best apartment I stayed in my vacation across five different cities in Croatia. It is sparking clean with spacious living room and kitchen. The apartment is very close ( all within 15 minutes walking) to the attractions around the old town. The host is also very kind and helpful. 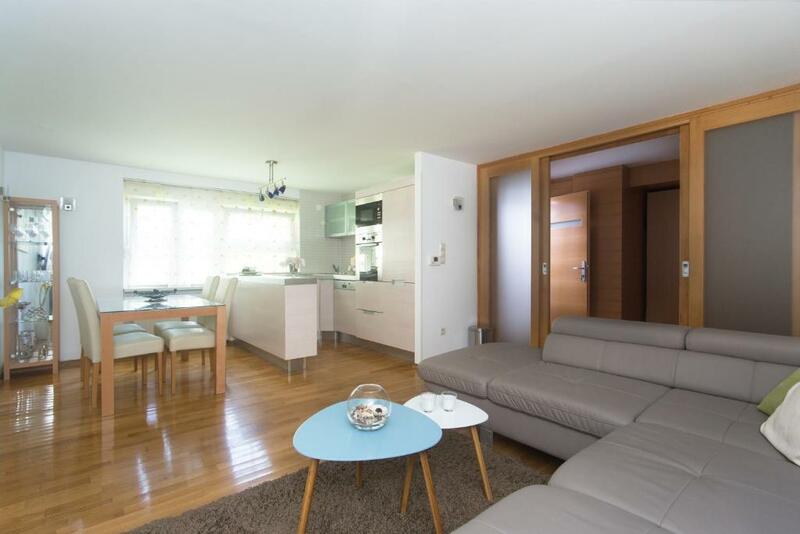 Apartments close to the centre of Zagreb with on site parking. Family friendly and host is very helpful. It is easy to communicate and even easier to find the apartments. City centre is literally a five minute walk! Everything was good!!!! Great place five star and more! Very nice and clean one-bedroom apartment with two bathrooms. The apartment is equipped with all necessary kitchen utensils and equipiment, while the batrooms were supplied with all essential toiletteries. The location is very central - just 5-7 minutes walk from the main Zagreb's square. The parking lot is a big bonus. Check-in and check-out went smoothly. 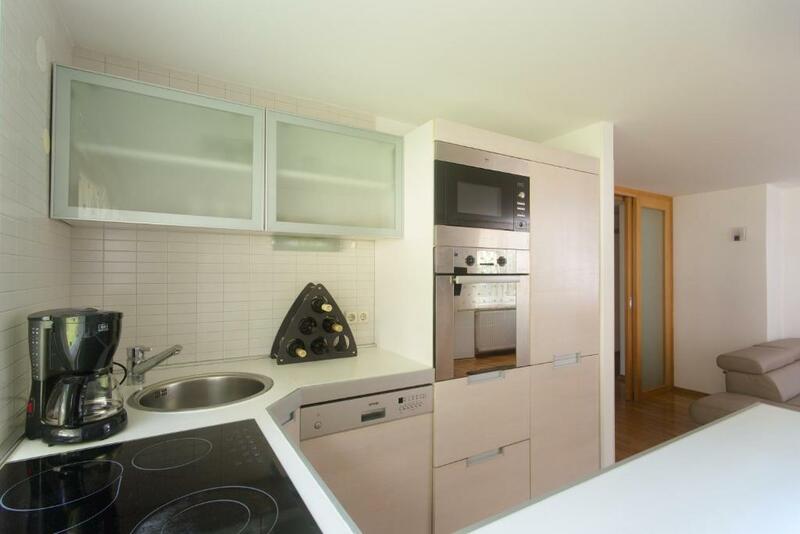 Great location, free parking right in the city centre and most touristic spots a couple of minutes walk away. Would recommend it to anyone spending a day in Zagreb. The flat itself was great. Very big and even got two separate bathrooms. 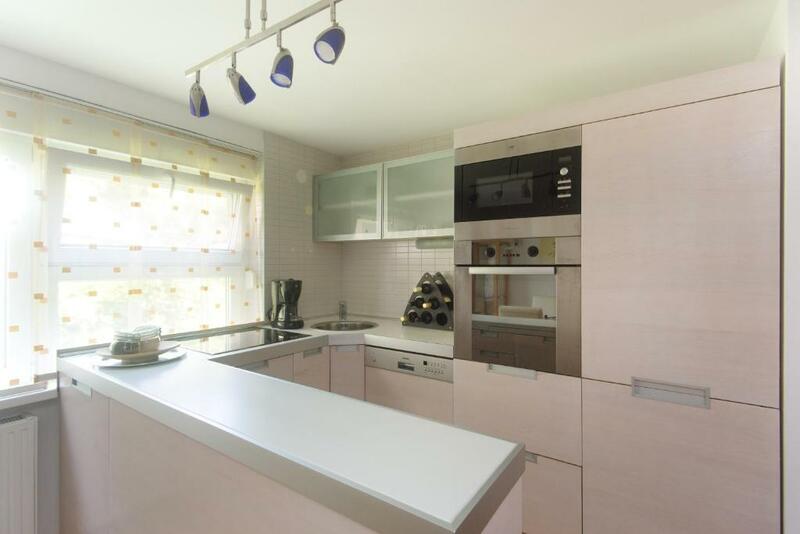 A plus is the big kitchen and that it’s exceptionally clean! We can recommend the accommodation without exception. Everything as described. Thank you. Amazing value for money. Excellent location, clean apartment and friendly staff. Private parking available at the city centre - Definitely coming back. 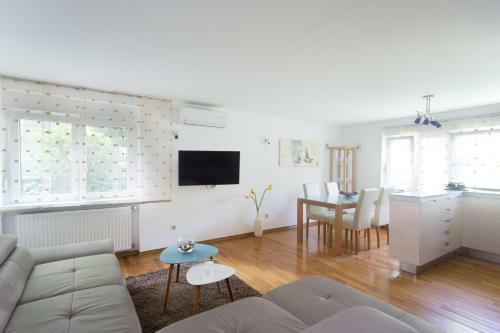 Lock in a great price for Apartmani Ribnjak – rated 9.7 by recent guests! One of our top picks in Zagreb.Located in Zagreb, a 12-minute walk from Zagreb Cathedral and 0.8 miles from Archaeological Museum Zagreb, Apartmani Ribnjak provides air-conditioned accommodations with a patio and free WiFi. The property features garden views. The apartment has 1 bedroom, a living room, and a kitchen with a dining area and a dishwasher. The bathroom features a shower. Dolac Market is a 15-minute walk from the apartment. When would you like to stay at Apartmani Ribnjak? Apartman se nalazi u samom središtu grada, ujutro se budite uz cvrkut ptica. Novo uređeno i spremno da vaš boravak u Zagrebu učini što boljim i ljepšim. Komunikativna sam osoba i spremna udovoljiti brojnim zahtjevima gostiju kako bi se osjećali dobrodošlima. Kada izađete iz zgrade i spustite se niz ulicu Vašu će pažnju okupirati pogled na Katerdalu i park Ribnjak. 3 min pješaćenja do glavnoga Trga te Gornjeg grada gdje se nlaze muzeji, crkva Sv. Marka i brojne znamenitosti. House Rules Apartmani Ribnjak takes special requests – add in the next step! Please inform Apartmani Ribnjak of your expected arrival time in advance. You can use the Special Requests box when booking, or contact the property directly using the contact details in your confirmation. It’s located on ground floor but despite that felt very safe. Good parking lot, good location to visit Zagreb. Perfect location, near city center,with free parking. Host was very polite, would definetly recomend. Great location, nice i cozy apartment. 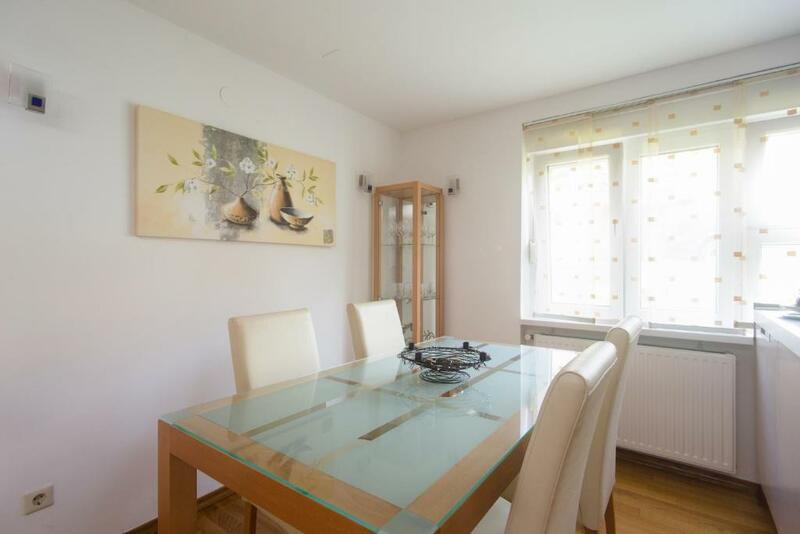 Great location, 5 min walking from the main Ban Jelacic square. Easy going and precise Staff. Free parking within big space behind the building. Ground floor, no stairs. Clean and comfortable, 2 bathrooms. Wifi was very good. Host: We notified the host of the approximate time of our arrival and were met as soon as our cab reached the destination. She also volunteered to help us with our luggage and showed us around the property and answered whatever questions we had. 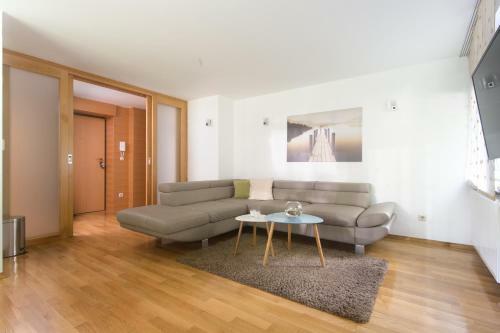 Property: The one bedroom apartment was well furnished, comfortable, spacious, sparkling clean and in a quiet neighborhood. An extra mattress was provided for the sofa bed. The two bathrooms were also clean. We were four people and the apartment was perfect for us. Location: Just a 10 min walk from the Ban Jelacic square and the Cathedral. The trams also pass just 100 m from the apartment though we did not use them. It was a little bit hard to get entrance into the hause itself and there was no bell sign where to ring for the apartment. The location is perfect in walking distance to the city centre and the cathedral. The rooms are nice furnished and very comfortable and large. Very friendly staff.